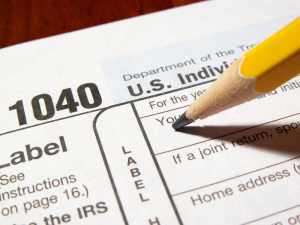 Now is the time to get started on your 2014 tax planning! Take advantage of the unique opportunity that the beginning of the year brings for your tax planning! By looking back on the still-fresh prior events, you can look forward to determine what you can replicate or improve. Your individual situation will dictate the tax-saving moves you should consider as you look back on 2013 and ahead to 2014. Please call us at 212-605-0276 for a review of the options that fit your circumstances. 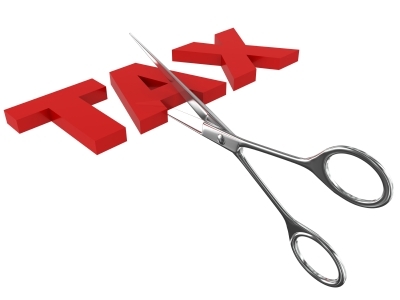 We’re ready to help you minimize your tax bill for 2013 and get a head start on smart tax planning for 2014. A good place to apply this tax strategy of looking back and looking forward is with your retirement plan contributions. An example of this is by making an after-year-end planning move by making a calendar-year 2013 contribution to your IRA until April 15, 2014. Any deductible contributions will reduce your 2013 tax bill. Now let’s look ahead with this strategy by beginning to think about 2014 IRA contributions. By starting early you are able to set money aside for current contributions and to decide what mix of contributions offers the best tax advantages. The most that you can contribute to your IRA for 2013 and 2014 is $5,500 ($6,500 when you’re over age 50). If you are a business owner, you can benefit from retirement plan tax savings too! It is not too late to set up a Simplified Employee Pension (SEP) plan for last year. Business can make contributions for 2013 until the due date of your tax return, so you could have until October 15 of this year to save money on last year’s return. The maximum contribution to a SEP for 2013 is $51,000 ($52,000 for 2014). Retirement plans play a large role in tax-saving strategies because contributions reduce your adjusted gross income (AGI). For 2014, AGI, or a modified version of AGI, will affect your eligibility for various tax and nontax benefits. You will want to manage your income to keep it within the range that’s most advantageous to you. How do you manage your income? One way is by making sure that you can take deductions that reduce your gross income. An example is, if you started a business and you are expecting it will take time to show profits, understanding the hobby loss rules can save money, these rules affect the amount you can deduct. You can claim losses in full and apply the excess against other income on your personal tax return, reducing your AGI as a self-employed business owner. When your activity is a hobby, for tax purposes you must claim the income but your deductions are limited. To retain the tax advantages of business treatment, establish your profit-making intentions early. Set up a business plan, a bank account, and a recordkeeping system. For an additional tax deduction this year, set up your home office. Net operating losses from an established business also present AGI planning opportunities. If your business expenses exceeded your business income in 2013, you have until you file your 2013 federal income tax return to decide whether to apply the loss to a prior year or carry it forward into 2014. By carrying the loss back you can generate a refund, boosting current year cash flow. However, depending on the type of business, your expected 2014 income, and your tax bracket, it may make more sense to use the loss to offset your 2014 income. An additional way to preserve business tax deductions is to have a strategy for obtaining written documentation supporting your expenses. Anautomobile mileage log is a typical case in point. The rules for substantiating vehicle expenses require you to keep a record, generally one made at or near the time you incur the expense or use the vehicle for business purposes. Other documentation to put in place now includes a written policy for taking advantage of new “repair regulations.” These rules let you currently deduct certain purchases of assets that might otherwise have to be capitalized. One more reason to start managing your 2014 AGI early in the year is thenet investment income tax. This 3.8% surtax generally applies when you have investment income, including, capital gains, interest, and dividends, and your AGI exceeds $200,000 ($250,000 when you’re married filing jointly). Income from passive activities, such as businesses in which you own shares but do not “materially participate,” is also subject to the tax. Since material participation is typically measured on the basis of the time you spend working in the business during the year, a smart beginning-of-the-year tax strategy is to create a schedule for increasing your hours. If you own more than one business and there’s simply not enough time to materially participate in all of them no matter how early you start, you may be able to “group” the different activities. Grouping lets you combine your hours to meet the material participation rules. If you grouped activities in a prior year, special circumstances may give you the opportunity to make changes in 2014. As you investigate opportunities for managing your portfolio in 2014, remember to pause and plan for the effect of tax laws. Here are some important rules to consider. For 2014, the tax rate you’ll pay on gains from sales of assets dependson your taxable income and how long you’ve owned the investment. Gains on assets owned a year or less are taxed at the same rate as your ordinary income. The rate for qualified dividends and sales of most assets you own longer than a year can vary. The rate is 0% when you’re married filing a joint return and your income is $73,800 or less ($36,900 when you’re single). When your income is between $73,800 and $457,600 ($36,900 and $406,750 for single filers), the maximum rate is 15%. A 20% rate applies when your taxable income is more than $457,600 ($406,750 when your filing status is single). The 3.8% surtax applies to your income from capital gains, interest, and dividends when your adjusted gross income exceeds $250,000 ($200,000 when you’re filing single). Your overall financial goals should be complemented by planning strategies for tax-efficient investing. For example, purchasing stocks and other securities that offer long-term growth potential instead of current income from dividends can help reduce the amount of income subject to the net investment income tax. 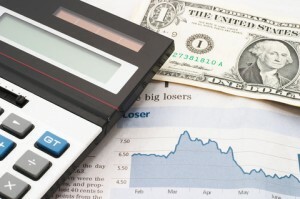 However, if you need cash flow from your investments, you might choose an alternative tax-saving strategy, such as adding tax-free municipal bonds to your portfolio. A mix of the two could be preferable if you’re subject to the alternative minimum tax. Likewise, the same analysis applies to investment accounts. Let’s say you own bonds or other investments that generate taxable interest income. Holding these assets in a taxable account means that you will pay federal income tax based on your ordinary tax rate. Including them in tax-advantaged accounts such as IRAs might be a better idea because you could delay the tax bill until you begin making withdrawals. We can help you create the best plan for 2014. So, please give us a call at (212)605-0276 to discuss the tax consequences of your investment decisions. Be aware of higher tax rates. In 2013 the top tax rate has been increased to 39.6% for top bracket taxpayers (with taxable income over $400,000 for singles, $450,000 for married taxpayers). In addition, singles with income greater than $200,000 (or $250,000 for married taxpayers) will be subject to the new 3.8% surtax on net investment income. If you believe that you will be close to this limitation, consider making moves that will defer income into 2014. 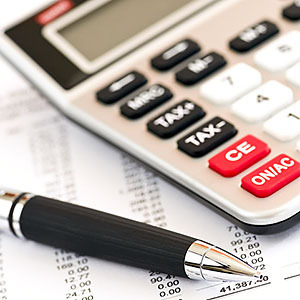 Take advantage of tax-deferred accounts. All of the new tax rates and phase-outs are based upon adjusted gross income or taxable income. The most efficient way to reduce both of those items is to maximize contributions to tax-deferred retirement plans. If your employer offers such a plan, make maximum use of it (such as a deferred compensation plan). If not, see if you are eligible for your own deductible IRA. Consider a health savings account (HSA). Investing in an HSA gives you a current-year tax deduction, while providing a savings account to use to pay out-of-pocket medical expenses currently or in the future. An HSA is not a “use it or lose it” plan. Any funds in the plan can be used in future years. And be aware that you can fully fund your HSA up to April 15th of the following year. Make charitable gifts from your IRA. Seniors age 70½ and older can make charitable contributions directly from their IRA. While this won’t be deductible, it can apply against your annual required minimum distribution (RMD), thereby lowering your adjusted gross income. IRS CIRCULAR 230 DISCLOSURE: To ensure compliance with Treasury Department regulations, we inform you that any U.S. federal tax advice contained is not intended or written to be used, and cannot be used for the purpose of (i) avoiding penalties that may be imposed under the U.S. Internal Revenue Code or (ii) promoting, marketing or recommending to another party any transaction or matter addressed herein. Purchase business equipment. Up to $500,000 (scheduled to be reduced significantly to $25,000 in 2014) in business equipment purchases can be expensed this year, rather than being expensed over a number of years. Additionally, there is also a 50% bonus depreciation allowance (that will not be available in 2014) if your purchases exceed the $500,000 limit. 2013 might be the last year to maximize your equipment purchase deductions to such an extent.You may need the latest Mac or PC, for example. This is great benefit to any company with profits that can be offset or reduced. Deduct health insurance. If you are self-employed, you are allowed to claim 100% of the amount paid for health insurance for yourself, your spouse, and your dependents as long as you follow certain conditions. Consider credit card purchases. If you want to purchase equipment or supplies for your business before the end of the year, but you are cash-strapped, consider using your credit card. Your deduction occurs this year when the purchase is made, not next year when the credit card charges are paid. Many startups finance themselves through credit card purchases. Beware, this can add a level of risk to your startup. Create a retirement plan. It’s not too late to create a retirement plan for yourself and your employees if you have them. The plans can be simple to set up and administer, such as a Simplified Employee Pension (SEP) plan. A 401(k) plan could be established even for a one-person business. While some of these plans must be established by the end of the year, most can be funded up to the extended due date of the tax return. Use the new “streamlined” home-office rules. Ocassionally, self-employed taxpayers declined to claim the home-office deduction because it was so complicated to compute. For 2013, the deduction is streamlined, allowing for a deduction of $5 per square foot, up to a maximum of 300 square feet or $1,500. This is last on my list because $5 per square foot, although simple to understand is just a fraction of the cost per square foot in NYC and surrounding areas. Payroll taxes. The most visible tax change in the new tax law is the 2% increase in the payroll tax. Everyone who draws a paycheck or has self-employment income will pay more in 2013. If you have $40,000 in wages in 2013, you will pay an additional $800 of payroll taxes over what you paid in 2012 on the same amount of wages. Tax rates. The new law keeps the income tax rates the same as they were in 2012 for most taxpayers and makes them permanent. The new 39.6% tax rate will apply to single taxpayers making over $400,000 and couples making over $450,000. Itemized deductions. The law puts limitations on the itemized deductions and personal exemptions for singles making over $250,000 and married couples making over $300,000. Long-term capital gains. The long-term capital gains rate will be 20% for singles making over $400,000 and couples making over $450,000. The prior 15% and zero rates will continue to apply to those in the lower brackets as they did in 2012. Tax-free distributions to charity. The tax-free distribution to charity from an IRA by a taxpayer age 70½ or older is extended through 2013. Special rules apply to December 2012 and January 2013 distributions if the transfer is made to the charity by January 31, 2013. Education. A number of education tax incentives were extended or made permanent in the new tax law. Child tax credit. The new law makes permanent the $1,000 child tax credit. The alternative minimum tax (AMT) has been permanently patched with a 2012 exemption amount of $50,600 for unmarried taxpayers and $78,750 for married taxpayers. The exemption amount will be adjusted annually for inflation. Depreciation. On the business front, the 50% bonus depreciation and the $500,000 business expensing option are extended through 2013. There are also numerous business tax incentives extended through 2013. There is much more in the new tax law. Please contact us for a review of your tax considerations under the American Taxpayer Relief Act of 2012. Obamacare: What is the Latest on Health Care Reform? Here’s a quick update that covers provisions in the health care legislation that went into effect prior to 2013 and those that, absent any changes made in the coming months, go into effect in 2013 and thereafter. Children can remain on their parents’ insurance policies up to age 26. Private lending for student loans is replaced with loans directly from the federal government, cutting loan fees. Individuals who are not covered by Medicare, Medicaid, or other government health insurance are generally required to maintain health insurance coverage or pay a penalty. 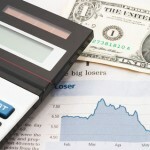 Penalties are calculated using a percentage of the taxpayer’s income or a flat dollar amount. Subsidies and tax credits are available to help lower-income taxpayers pay for coverage. Congress may amend or repeal provisions in the health care reform law, either before their scheduled effective date or retroactively. Or the law may survive largely intact. Clearly, the massive law will affect every taxpayer. For guidance in your individual and business tax planning under the often-complicated health reform legislation, contact our office at 516-280-8363. Click here to go back to our income tax planning and preparation section. 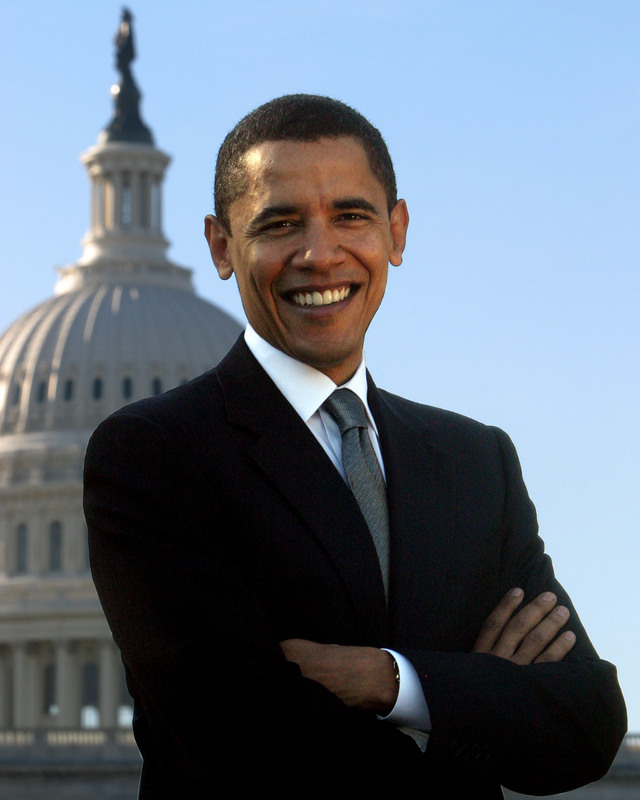 January 5, 2013 by admin · Comments Off on Obamacare: What is the Latest on Health Care Reform?